The unpredictable inspired fresh new ways to capture market- and mind-share. When your business thrives in the community for 110 years, it might seem like there’s not much left to discover. But for Franz Bakery, a market leader in virtually every bread category, a hefty dose of the unpredictable inspired fresh new ways to capture market- and mind-share in the organic bread category. The element of surprise gets you into more consumer minds—faster. With our client’s tongue-in-cheek theme of Get Portland Baked, we played up the power of the unpredictable. The long-lasting legacy of Franz Bakery needed a little extra flavor to reach the unique and eclectic organic-bread consumers of Portland. So we pushed the limits, and asked our audience to do the same. The campaign came to life through our illustration-as-identity approach. With an image that’s perfectly Portland—and a little bit trippy—we created a campaign mainstay that prompted our other creative deliverables: an online microsite, social media and event communications, point-of-sale displays, a truck wrap, and messaging platforms to carry across all channels and media relations. 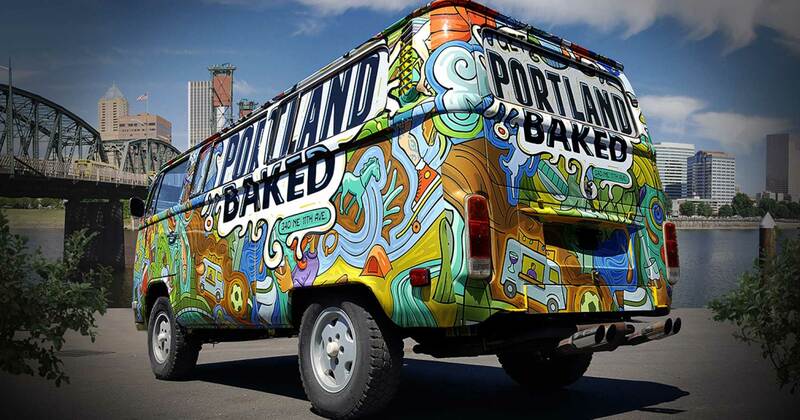 The campaign certainly played a part in keeping Portland weird—and bringing Franz Bakery’s organic bread to new audiences. 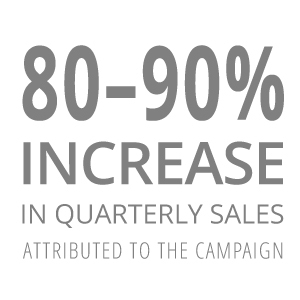 Franz’s quarterly sales increased by an incredible 80-90%. Building Get Portland Baked social media followers from scratch, the campaign now has more than 7,000 followers on Facebook, Instagram, and Snapchat combined. 48% of the microsite visitors came from the social media channels we managed. © 2019. Koopman Ostbo. All rights reserved.